One focal from an Eschenbach china plate. 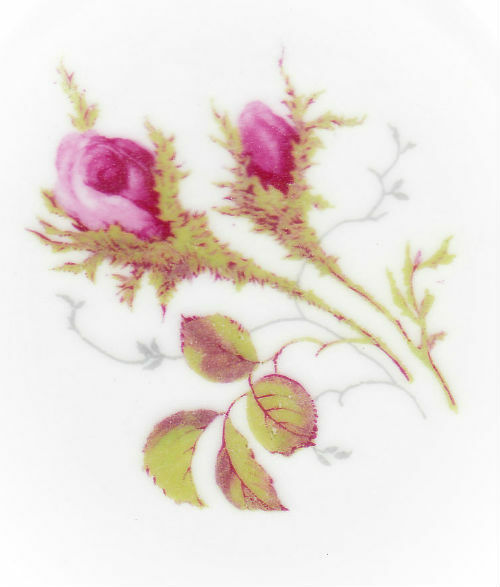 Pink rosebuds, green leaves on white china. This focal broke through the design during the cutting process but will still work for all mosaic projects.